Alpine Home Services takes the hard work out of maintaining your vacation home. Are you a time-starved family or vacationer in Lake Tahoe in need of someone to cook, clean and help with the general upkeep of your home? 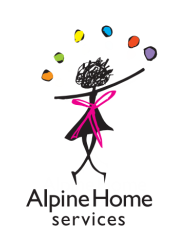 Aaahhhh – then relax and enjoy being at home without the hassles of doing all the cooking and cleaning because Alpine Home Services will do it for you! We offer a Personal Chef, Grocery Shopper, Housekeeper and Caretaker. We are licensed and bonded and operated by Samantha Fried who has over twenty years of culinary experience. So, spend more time with your family while in Tahoe and let someone else take care of the hassles!